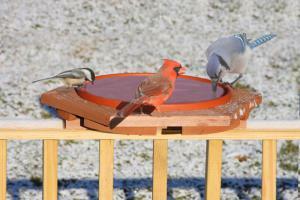 Attract more colorful birds with a heated bird bath. 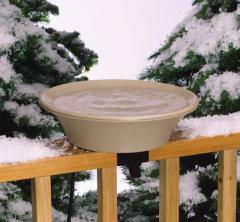 Attract more birds year round by providing a heated source of water for birds in cold climate winter weather with a heated bird bath. 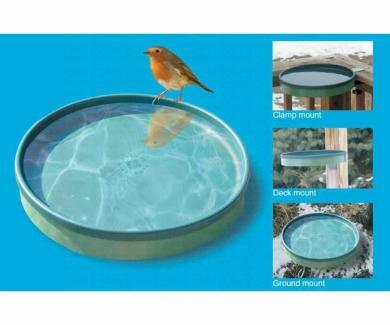 Birds are attracted to a winter source of water because most ponds and lakes are frozen over in the winter months in cold climate areas. 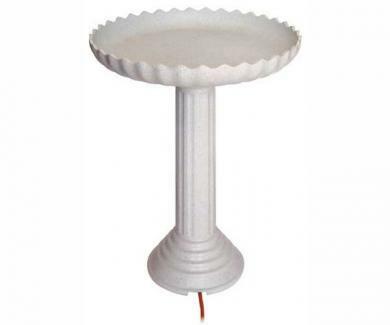 The birds may be chilled in the cold months but they will chill in your backyard with a fresh steady supply of water all winter long. 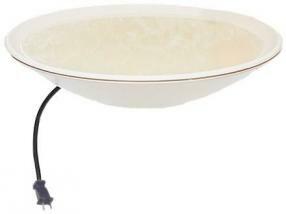 *Gradual slope bowl or tray allows birds to drink water and bath without being to deep on the edges. 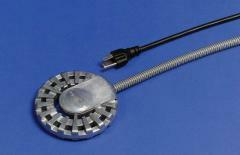 *An automatic thermostat that shuts off at a specific temperature and turns on at a specific temperature as well.